Our machine tools financing options include leases, loans, and working capital options. With our straightforward pre-qualification process, you can view terms immediately and keep your approval open for up to 90 days while you shop for the ideal machine or tooling. Not just machine tool financing. Financing built for machine shops. Machine Tools Finance Group does more than just offer leases and loans for machine tools. Our passion for machine tool financing and the effectiveness and speed of our lease and loan products is unmatched. Since 1986, we have been offering the best rates, longest terms, and highest reliability of any machine tool financing company in the marketplace. 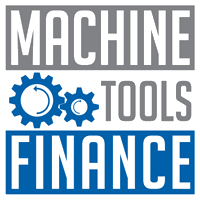 At Machine Tools Finance Group, we know the industry and have tailored our programs to fit the unique needs of machine shops. Whether you need to add a CNC machine, lathe, machining center, mill, press, or even just tooling, we have the industry expertise to make the machine tool financing process fast and easy. Bank and credit unions are great resources for credit lines, real property loans, and personal loans - but machine tools are a different story. Often, used machining centers, older presses and mills, and softer collateral such as tooling or control panels fall outside of the bank credit window. Unlike banks, we have no age or collateral restrictions. If you see value in a machine tool or tooling - we can help you finance it! 98% of machine tool transactions are not funded by local banks or credit unions. Machine Tools Finance Group is proud to offer leases and loans with more term options and greater flexibility. We'll guide you through the whole process of getting funding for your machine tool or tooling need.